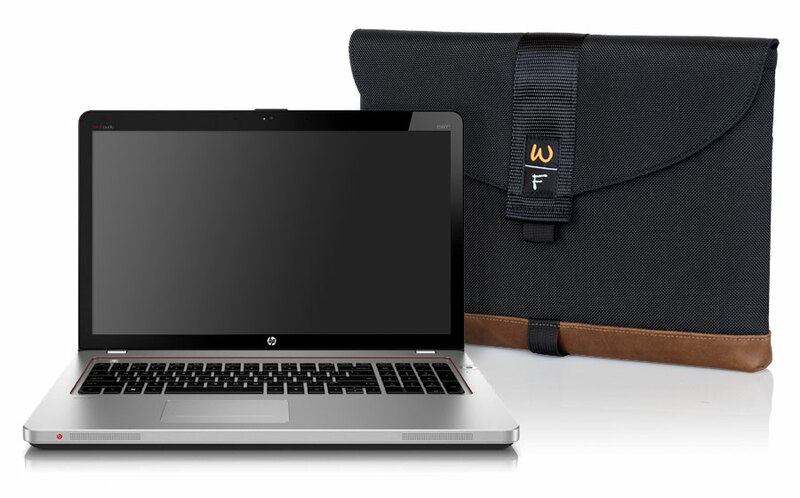 WaterField Designs announces American-Made, custom-fitted laptop SleeveCases for hottest new laptops just announced at the 2016 Consumer Electronics Show, including those from HP, Razor, Lenovo, Samsung and more. We’ve been making hundreds of custom-fit sleeves—like these for the new Razor, HP, Lenovo, Acer, Samsung and LG laptops—for 18 years right here in our San Francisco workshop. WaterField Designs, a leading San Francisco manufacturer of custom-fitted laptop sleeve, bags and cases for digital gear, announces new custom PC laptop sleeves for the most hyped new laptops announced at CES: the Razor Blade Stealth, HP Elitebook Folio G1, Samsung 9 Series, Lenovo Yoga 900 series and more. The rugged and stylish SleeveCase combines a clean, modern look with die-hard neoprene and ballistic nylon protection. 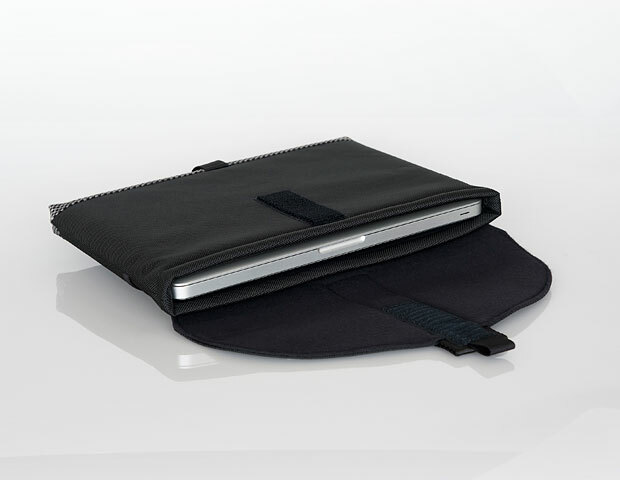 The SleeveCase offers robust laptop protection and a classic, stylish look. Each custom-sized PC SleeveCase consists of a slim but sturdy ballistic nylon shell with a high-grade neoprene interior customized to individual laptop dimensions. Available in either a horizontal or vertical orientation, with or without a lightly-padded flap and with a choice of three trim colors. Users may retrieve the laptop from a briefcase or backpack without removing the sleeve itself. Alternatively, they can opt to add a strap to the sleeve to transform it into a stand-alone shoulder bag. TSA-friendly. Keeps laptop safe going through security. Made entirely in the USA—San Francisco. Color: Black with trim in either grey-checkered Indium or premium brown or black leather (+$10). Options: Padded flap: $15. D-rings only: $5. Simple Strap: $12. Suspension Shoulder Strap: $22. New Sizes for: Razor Blade Stealth, HP EliteBook G1, Lenovo Yoga 900 and 900s, Samsung Notebook 9 Series, Dell 7275 and 7370, HP Spectre X360 and X361, Samsung Galaxy TabPro S and others. Available now exclusively from the WaterField Designs online store. 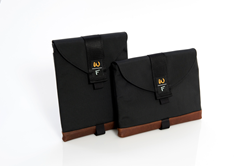 WaterField Designs also offers custom-fitted Apple laptop sleeves.